Classic motorcycle enthusiasts will be counting down to the annual Stafford show – with something extra-special lined up for this year. The Carole Nash Classic Motorcycle Mechanics Show, held over the weekend of October 13 and 14, will feature a profusion of crackling two-stroke Grand Prix machinery, topped off for the first time in the 40-year history of Cagiva with a stunning display of no less than 11 of the factory’s red racers. 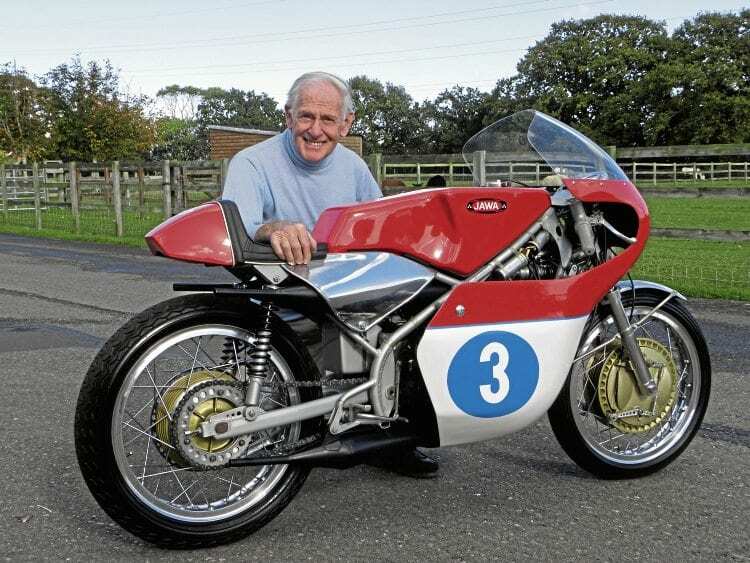 The 350cc Jawa from 1969 that was raced by Bill Ivy and Sylvio Grassetti, with its current caretaker, Sammy Miller. Cagiva riders Jon Ekerold (who rode for the factory in 1982) and Pier Paolo Bianchi (World 125 champ in ’76, ’77 and ’80, and Cagiva rider in 1988) will both attend with their respective Cagiva race bikes and are due to be interviewed on stage by compere Steve Plater, alongside the third guest of honour, world endurance champion Terry Rymer.